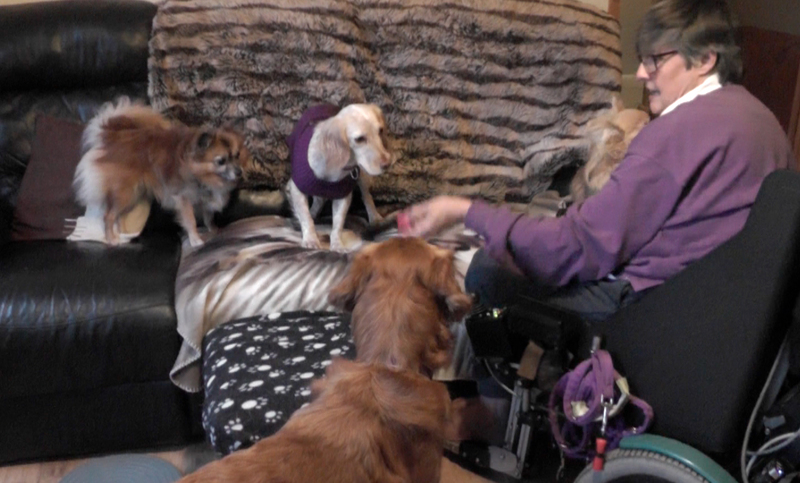 Today we were filming with an inspirational lady - Philippa Sjoberg and her 3 dogs (plus two visiting canines!) 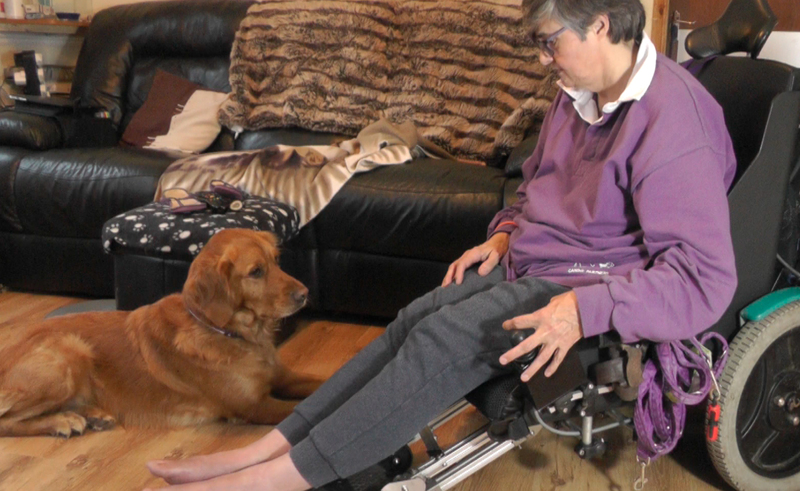 When Philippa was told she would need a wheelchair, her main worry was whether she would be able to continue living and working with dogs. She has shown that, if you want it enough, it is certainly possible. Along with Golden Retriever, Jack, Philippa lives with and trains a cocker spaniel and a Chihuahua, and sometimes looks after her daughter's two dogs too. Philippa trains all her dogs and now the others sometimes even try to join in Jack's assistance dog tasks as they know there are treats on offer! Today we filmed articles about living with assistance dogs and other dogs, ongoing training of assistance dogs and some of the practical aspects of training dogs from a wheelchair.